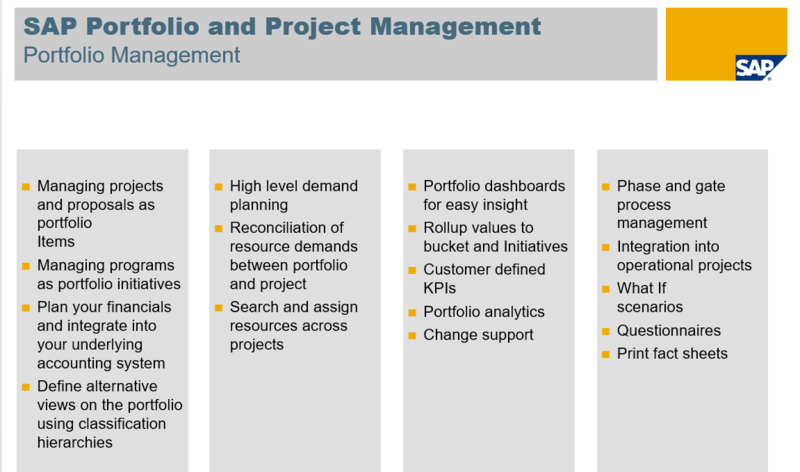 SAP Project and Portfolio Management has been integrated with SAP Solution Manager 7.1 SP10. Therefore PPM functionality within SAP Solution Manager 7.1 and now in 7.2 is an integration hub for project data from multiple systems and synchronizes attributes, authorizations and status between project, requirements, changes, testing to ensure up-to-date data and provides a complete overview of ongoing projects for the project managers and/or administrators. In this blog we will focus on the integration of requirements and change management with project management in SAP Solution Manager 7.2. There are some configuration steps to be done to integrate PPM with Change and Requirements Management. 1. Perform the following tasks as described in the IMG document for integrating Requirements with SAP PPM. 2. Perform the following tasks as described in the IMG document for integrating ChaRM with SAP PPM. In this IMG step, indicate the project types that will be use as part of the PPM project. c. In the map transaction types to task types, the status of the transaction types and how it correlates with the creation of task is specified. d. In the restrict transaction assignment to specified status values, the activity controls the assignment of transactions in change request management to tasks in the project management, depending on the statuses. If there is at least one entry for a transaction type, transactions of this type can only be assigned if they have a status that is defined in this activity. If there is no entry for a transaction type, the assignment can be made for any status. Create a PPM project of type “maintenance” in the example below. 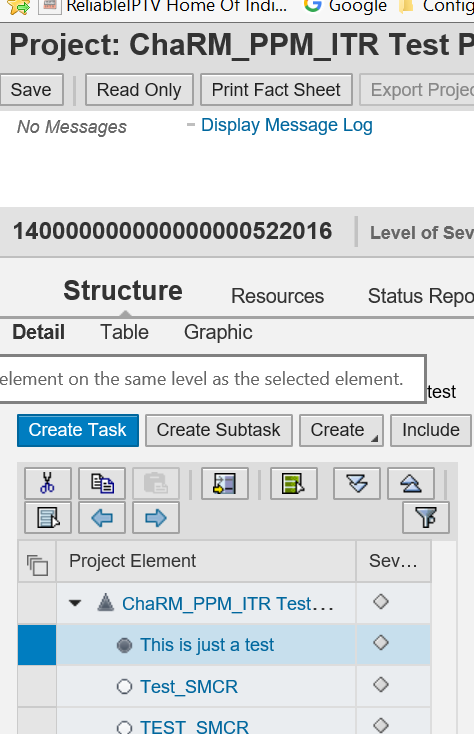 Now you can assign either a requirement management document to the transaction tab. It can also be a change document. Depends on how it has been configured. You could also create a task directly from the CRM UI Request for Change. 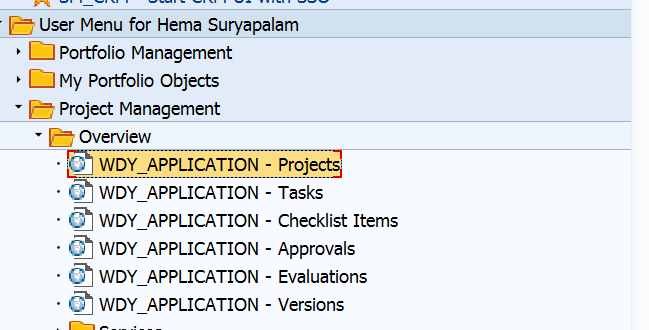 Unfortunately, my Project field is not visible. And i cannot assign any transaction in Project.Any solution please. Project field is never enabled. You have to configure as above in the blog and then in the CRM UI — select the action ” Create PPM task” that will fill the project field. 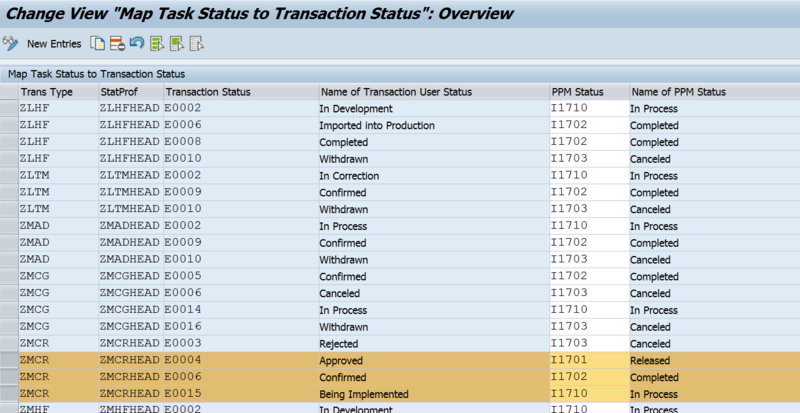 above steps i done already.Like in Solman 7.1 where one can select project in Request for Change,in Solman 7,2 is not visible.How to make visible from the beginning in RFC? I tried to create PPM task,getting below error. The project concept is completely gone in 7.2. We will now be using branches, solutions and landscape. 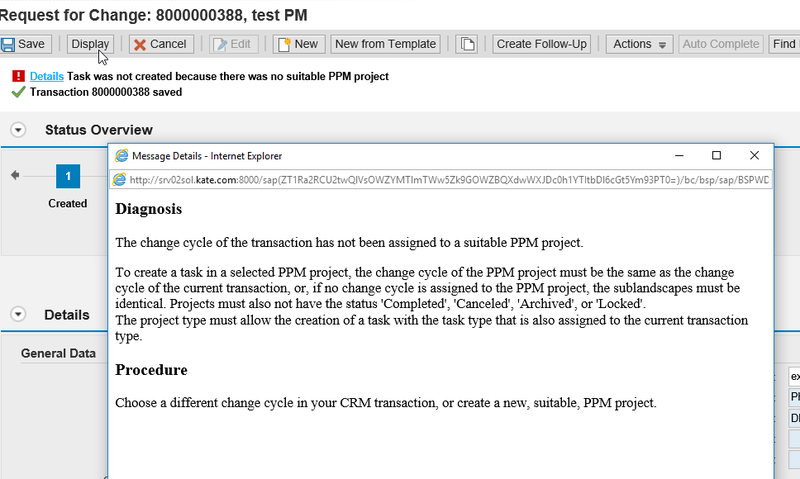 So, in the PPM project you will select the landscape/branch and then you will be able to create task from CRM UI to the specific PPM project which is assigned to the same landscape/branch. Please check this blog for more info on branches/landscapes.